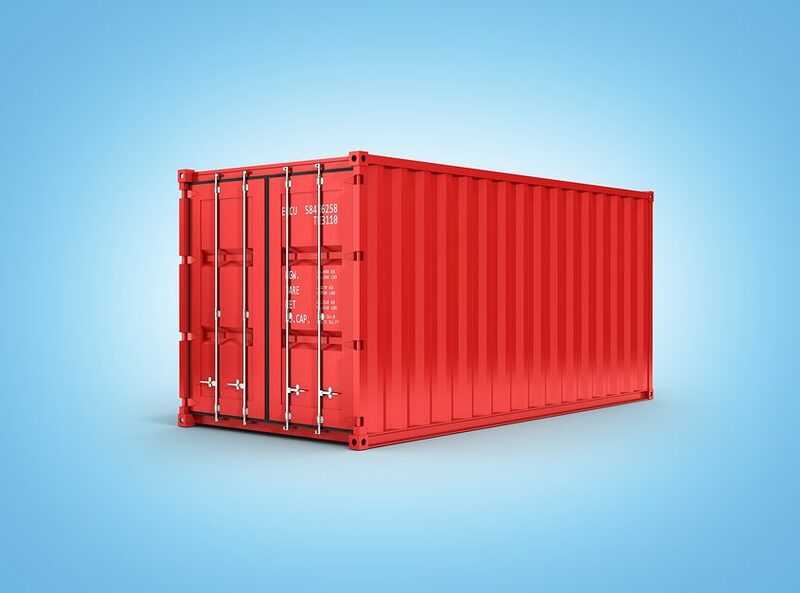 Portable storage containers are increasingly becoming a popular storage option. There are a few reasons they make sense for some moves. You may have limited space or little kids and need lots of usable and clutter-free space in the house while you pack. Maybe you have a lot of stuff, and just can’t pack and organize all the items at once. In this case you want to spread it out over time and get it out of the way. Some people may be moving long distance or overseas and are packing a container for shipment. Sometimes it seems like a good way to save money as you pack and load all your belongings instead of paying movers to do it. How does container moving work, anyway? A mover drops off a moving container, usually one big enough to load most or all of your belongings, at your residence and leaves it for an agreed length of time. You can then pack items at your own pace and at your own risk. On the agreed date, the container company will come to pick the container when you’re ready and drop it at your new residence for you to unload. What you pay will depend on things like the size of the container, how long you need it, how far you are going and whether you will need to store it for any amount of time. Container moving has become popular as a do-it-yourself method of moving that allows the customer to take care of everything except transporting the items to their destination. There are some good reasons that people choose container moving. Perhaps one of the biggest benefits of a moving container is that you’re free to set your own schedule for packing and unpacking when it’s most convenient for you. Once you’ve packed them, the items are out of the way in the container. The cost of your move will depend on the contents of your home and the distance. With a rented moving container, you forego the cost involved in paying for professional packing, loading, and unloading. You’ll only pay for the cost of renting the container and the transportation to your new location. Also, if space is an issue, your container doubles as a storage unit, eliminating the need to pay for temporary storage. Of course, if you are clearing the house for sale, for example, the storage container sits right in front of the home. This might not be the most desirable situation, with offsite (and out of sight) storage being a better option. When conducting the move yourself, you have better control over the handling of your possessions. That starts right from the moment the mover drops the container at your residence. You’re the one to pack the items and oversee the loading. You can take your time and decide what to pack and load, and what to discard, sell or give away. Of course, if items are not correctly packed or are loaded so that they cause damage to other items, that will be your responsibility. Some people may prefer not letting strangers into their home, no matter how professional or reliable movers may be. A moving container allows you to pack and remove your own belongings, with no need to have movers inside the house. You’re in full control of your valuables and your own move. Moving containers sitting in your driveway are locked and generally secure. However, they’re still subject to vandalism. With full-time movers, you’re assured your contents will be packed professionally, loaded, transported and unpacked in your new residence. That relieves you of the risk of having the container on the street or the driveway. What’s more, full-service moving companies are insured. In the event of breakage or vandalism during packing, loading, transport and off-loading, you’re covered. Many household items are heavy and lifting them is difficult. Breaking things is easy if you aren’t used to packing and moving lots of different kinds of items, including glass, electronics and furniture. It get worse if you have to move them from the furthest corner of the house, load them into the moving container unload them again at your new residence, perhaps dealing with going up and down stairs as well. If you’re not ready to handle heavy items without injury, it’s a good idea to hire professional movers for your move. Packing and loading items correctly is important to assure they arrive in good condition at your destination. 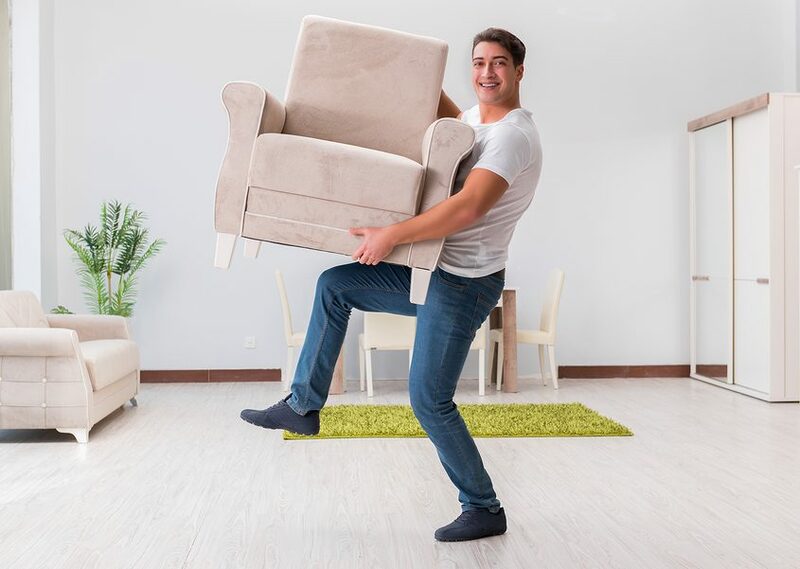 Full-service movers are trained professionals and have learned the tricks of packing, protecting, lifting and loading everything from dishes and artwork, to heavy items such as furniture to prevent damage and injuries. They understand how best to position your things into the trucks to make use of the available space and to avoid mishaps. Moving containers are delivered to your home for the storage of your goods until you’re ready to move. They usually sit on your driveway or on the street nearby. Depending the amount of time you’ll leave the container there as you pack and load at your pace, the storage unit tends to occupy a lot of space and may be a hindrance to you or your neighbors. In the worst case scenario, the local codes, apartment complex or homeowners’ association rules may not allow a moving container to sit on the street for as long as you would like. With a full-time mover, your items get loaded and transported into the truck usually the same day. Especially if you’re selling your home, having a big container sitting in the driveway can be a turnoff to buyers. And if you’re busy or working, it’s just a hassle to have to deal with the container and the packing and loading. It’s easier to just let movers handle everything for you. Remember moving yourself, even partially takes time and care. Taking time off work to complete the packing and loading can cost more than hiring a professional mover. And, if you don’t pack or load things correctly, you could end up with expensive damage to your belongings. At Move 4 Less, we pack, crate, wrap, disassemble and prepare just about any item for a safe move – from fine art to chandeliers to pianos and pool tables. In the end, a safe and easy move may be less costly than one you do yourself with a container move. For over 20 years, Move 4 Less, a full-service moving company in Las Vegas, has helped thousands of residents with their residential, commercial and business moves. We’re licensed, bonded and insured and strive to make your moves affordable and hassle-free. If you need to de-clutter to sell your home, or want to store unneeded items, or need temporary storage between homes, we also provide secure, climatized and convenient storage options for your short or long-term storage needs. For more information, book a consultation with one of our moving counselors, or contact us at 702-889-6683 for a free quote.